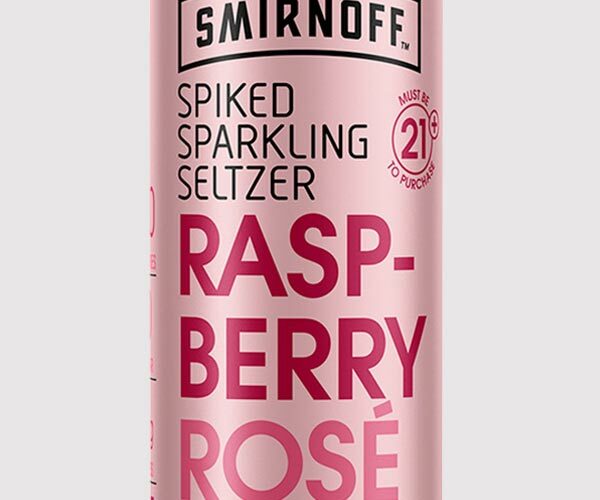 Smirnoff Spiked Sparkling Seltzer Raspberry Rose - Oak Beverages Inc.
Light, crisp, and bubbly blend of raspberry and rose flavor at only 90 calories and zero sugar. Perfect for those summer days when you want rose all day. Light, crisp, and bubbly blend of raspberry and rose flavor at only 90 calories and zero sugar. Perfect for those summer days when you want rose all day. YAAAAS. 90 CALORIES, 1 G CARB, ZERO SUGAR, NO ARTIFICIAL SWEETENERS*, CRAFTED TO REMOVE GLUTEN**. 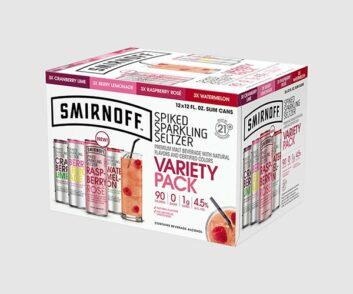 AVAILABLE IN FOUR CRISP, REFRESHING TASTING FLAVORS: ORANGE MANGO, CRANBERRY LIME, RASPBERRY ROSE, AND WATERMELON.